Your customers now receive automatic shipping status updates when the USPS updates the status of your shipments as "In-transit" and "Delivered". Automatic shipping status updates are sent to customers for all labels printed from the Sales page. The new format for shipping status emails is also used when sending manual shipping tracking emails from the Sales page and the Shipping page. 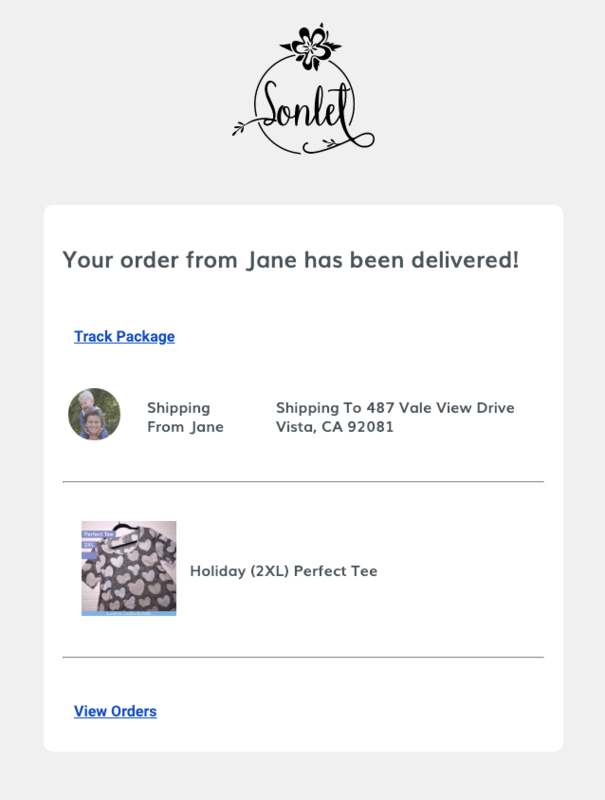 Sonlet will also send these automatic shipping status updates to the email address associated with your Sonlet account, so that you can stay informed of when your package is delivered to your customer. You can turn off these customer shipment updates in your account notification settings.